Develop a deeper connection to the places you visit with TravelStorys. TravelStorys gives you access to the sights through authentic, hands-free and self-guided storytelling. Discover your destination through locally-narrated, engaging stories about history, culture, wildlife, geology, and more. This location-aware app acts more like a compass and less like an app and works both offline and inside your pocket, allowing you to truly enjoy your surroundings. This app uses GPS technology. Continued use of GPS running in the background can dramatically decrease battery life. Thanks for using TravelStorys! To bring you the best experience possible, we provide frequent updates to the App Store. This update includes minor bug fixes and optimizations. 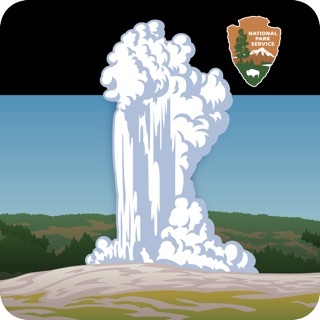 We used this app while driving the lower loop of Yellowstone National Park, and so happy we did! This app allows its users to have a fun way to have a self-guided tour. As we hit landmarks in the park, the TravelStorys app shared insightful stories about the history, culture, and wildlife. The audio tours are great for learning about the area while driving. Now that TravelStorys is in 36 states, we will definitely keep using the app! Used the app for a recent road trip on I-70 west from Denver to Grand Junction. The app is great, worked flawlessly. The I-70 content is OK, learned lots about bison and sheep and other topics. The downside is that it contains LOTS of advertising. Also, one segment was devoted to things like the proper way to brush your teeth, not using plastic straws and other stuff unrelated to the drive. TravelStorys might need to start reviewing the content before publishing to ensure the content providers stay on topic and don’t excessively self-promote. We used this app in Jackson,WY and through Teton National Park. As we drove through Teton NP, we listened to the historical story of the area. It gave us so much more understanding of the area and added so much to our drive. On our return trip we listened to information about the wild life in the area. It’s really easy to use and added so much to our trip. Would gladly use it again.